The Department of Legal Metrology (erstwhile Weights & Measures Department) came into inception in the state in the year 1961 to adopt metric system in trade and commerce as per the metric policy adopted at the national level. The Department was christened as Legal Metrology in 2005. Earlier it was under the administrative control of Revenue department. 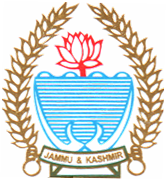 In the year 2003, the department was brought under the control of Ministry of Consumer Affairs and Public Distribution which has been subsequently renamed as Food, Civil Supplies & Consumer Affairs Department. The organizational set up consists of a Controller Legal Metrology as State head of the Department, Joint Controller Legal Metrology as Provincial head and Assistant Controller as a district head. The department of Legal Metrology is working for the cause of consumer. It is a frontline consumer organization in regulating market by conducting extensive market-checking to prevent unfair trade practices relating to weights and measures/Packaged commodities/Liquefied Petroleum Gas etc. The department is regulating the use of correct weighing and measuring instruments in production, trade and commerce to ensure that exact weight, measure and number of any commodity is delivered to any customer as contracted for or paid for by him.The Department also safeguards consumer’s interest by ensuring mandatory declarations viz complete name and address of the manufacturer/packer/ importer, month and year of packing/import, common or generic name of the commodity, net contents and the sale price of the package (Maximum Retail Price, incl. of all taxes), Customer Care Number with name, address, Telephone No. of the person/office which can be contacted in case of consumer complaints and size, if applicable are printed on the such packages and declaration printed on them confirm to the contents of the package and also confirms the manner as may prescribed. The Department carries out regular/surprise inspections of markets, fair price shops, kerosene oil depots, petrol pumps, gas agencies etc. to check whether measuring and weighing units bear valid verification stamp and deliver correct weight, measure or volume of commodities to consumers. Inspections are also conducted on receipt of complaint from any source either in writing or telephonically. Action for short measurement, use of defective and non-standard weights and measures is taken as per provision of relevant Act and Rules. The department, from time to time, holds seminars/workshops in schools/colleges and in public places to educate students/common people about their rights as consumer. Special programmes are organized to sensitize trading community on regulation and latest guidelines which need to be adhered. Printed material is distributed to general public to disseminate consumer information. The field executives are authorized under J&K Consumer Protection Act, 1987 to lodge complaints in consumer courts as a representative of consumer. Stamping and Verification of Weights, Measures, Weighing and Measuring instruments used by the commercial establishments. Verification & Stamping of Weigh bridges. Stamping / sealing of dispensing units of Petrol pumps. Checking of net contents of LPG at bottling plant or retail outlets. Issue of licenses for Manufacturing, Repairing and dealing with Weights, Measures, Weighing and Measuring instruments being used in commercial establishments. Registration of Packers, Manufacturers and Importers of packaged commodities. Checking, inspections and prosecutions of the commercial establishments found violating the provisions of Weights & Measures Laws. Name and complete address of the Manufacturer, Packer and / or importer of the packaged commodities. Net contents in terms of weight, volume or number. Date of manufacture/packing/import of the commodity (month and year). Maximum Retail Price (inclusive of all taxes). Generic name of the commodity. Customer Care Number with name, address, Telephone No. of the person/office which can be contacted in case of consumer complaints. Size, if applicable Checking of commercial establishments regarding the overcharging above the MRP in respect of the sale of packaged commodities.